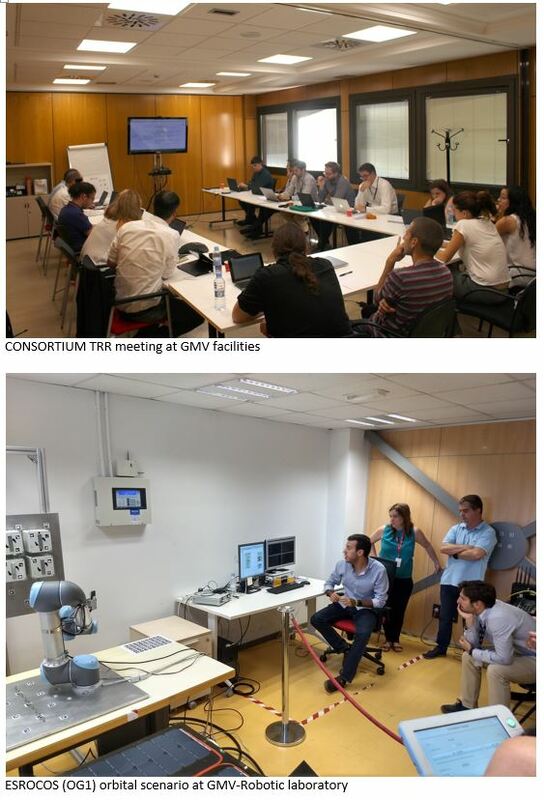 Last September 10, the Test Readiness Review (TRR) of the ESROCOS project took place at GMV’s premises in Tres Cantos (Madrid, Spain). The TRR marks the completion of the software development and integration activities, and the start of the test campaign that will validate the ESROCOS framework in three scenarios representative of space robotics and critical terrestrial applications. The meeting included a dry run of the orbital scenario tests at GMV’s robotics laboratory. In this scenario, a commercial robotic manipulator controlled by the ESROCOS software is used to inspect a satellite mock-up, taking pictures from different positions commanded by the test operator. The TRR was successful, and the ESROCOS consortium was authorised to start the test campaign and the last phase of the project.